In IT, repositories are central places where data and files are stored in an organized fashion. The word has been borrowed from the Latin term repositorium which denotes a chamber or vessel where things can be placed. A repository tends to be of two kinds. It can either be directly available to users or files, folders, and documents kept within a repository could be made accessible to users within a specific network from time to time. Repository pattern makes code testing easier. Whenever we need to query or add data from the database, we need not hard code the dependency. Instead, an instance of an object may be injected that satisfies the repository interface requirements. A repository mediates between the data mapping layers and the domain using collection like interface to access domain objects. One of the biggest advantages of using a repository pattern is that it provides a “collection like” interface. This means we would be accessing data from the database just like a standard collection object. At the end of the day, we use databases in applications to store data. GitHub is a collaboration platform meant for developers. It was started in 2008 with a Software-as-a-service or SaaS business model. It is based upon the Git platform which is a free code management system. After writing code, we are not always sure if it will work or not. When we put up our work on GitHub for review, our work is evaluated by a whole host of programmers and developers. They can then readily point out if our work has any shortcomings or flaws so that the same can be rectified. GitHub is similar to Microsoft Word and Google Drive in that it keeps a track of all the changes that we have made to our code during development. This enables us to get back to our previous changes if we choose to see what they are. This is a very helpful feature when developing code. Bit Bucket is a hosting service. It is owned by Atlassian. It is used for development and source code projects that use Git Revision Control or Mercurial systems. Bit Bucket offers both free and commercial plans. Its free accounts come with unlimited private repositories. Bit Bucket can easily integrate with other software like Jira, Bamboo, Confluence and HipChat. JIRA provides effective bug tracking within a project. Bit Bucket can be easily integrated with JIRA. This enables the developers to easily track the bug reports without having to leave their existent working platform. Bit Bucket allows its developers to create in-built issue trackers very easily. Through this, we can track the status of project tasks, bugs and feature requests. What is Visual Source Safe? Visual Source Safe is used to develop small software projects. It creates a virtual library of computer files. It can handle any types of files in the database. However, it does sometimes face issues when handling non-textual data such as compiled executables and images. 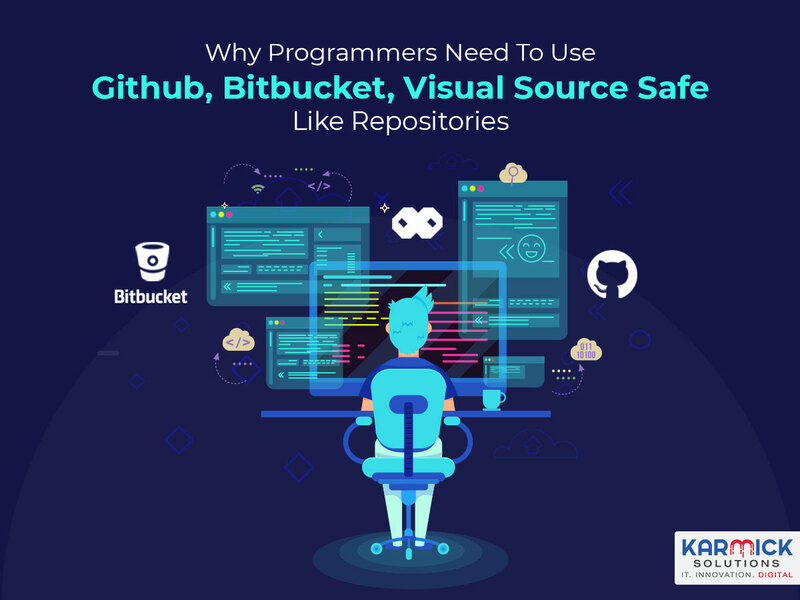 Why use Visual Source Safe? The check out command allows visual Source users to check out multiple files within a project. During the audit process, a writable copy is placed in the working folder. Visual Source allows its users to access many details about files including statistics etc. The undo check out option inside Visual Source allows us to reverse a check out. With this command, a new version of the file is not created. The local copy may be deleted or saved somewhere else.